Over the next five years, the demand for IT workers will get a big boost from an unlikely source: manufacturers looking for networking pros who can help them run the industrial internet of things (IIoT). Manufacturers in the US, Germany, Japan and China are on the cutting edge of something called Industry 4.0, which is digital transformation applied to manufacturing – bringing with it all the change, opportunities and challenges that represents. And it includes IoT devices that contribute to the manufacturing process. +Related: What is Industry 4.0? According to the PwC's 2016 Global Industry 4.0 Survey, manufacturers across a broad spectrum of industries plan to invest $907 billion per year for five years into Industry 4.0 initiatives. "A major focus of this investment," the report states, "will be on digital technologies like sensors or connectivity devices, as well as on software and applications like manufacturing execution systems (MES). Companies are also investing significantly in training their employees, hiring new specialists and driving organizational change." To make this vision a reality will take skilled IT people and technologists. And it won't be just programmers and developers: network engineers will be needed to connect everything together and make sure it keeps working. Then, of course, there is a massive cyber security component. Every newly connected device potentially represents another vulnerability. Agood way to envision all the skills that could be required to bring about an Industry 4.0 transformation is to think about IoT in the context of a highly-autonomous assembly line. It could include 3D printers and other additive manufacturing techniques running alongside computer numerical controlled (CNC) lathes and newer machines capable of executing highly variable, multi-step processes using robotic vision and artificial intelligence. Add in cobots – collaborative robots that work alongside humans -- and you have a technology landscape that calls not only for multiple skills sets but, in many instances, the blending of those skills to cut across silos and specializations to create whole new categories of technology professionals – ones who understand the convergence of operational technologies and information technologies, said Tanja Reuckert, executive vice president for SAP's IoT & Customer Innovation Unit and the vice chair of the Industrial Internet Consortium's (IIC) steering committee. "I believe now is the time we have to think cross-discipline or multi-discipline," said Reuckert. "When you talk about the internet of things, people say it is about digitizing the thing. It's actually about digitizing the business process. So I think engineers, network specialist, application developers, big data architects, UI [user interface] designers, business people need to talk to each other and understand each other." Because of this, many employers will have trouble defining exactly what skills or set of certifications they will need. Industry 4.0 is going to demand that teams of people come together to solve interrelated challenges. Specialists will still be required, of course, but they will also have to broaden their knowledge base to include not just other IT technologies but also the operational technologies like robotics and process automation that make factories and assembly lines work. According to a 2016 Boston Consulting Group survey, this already is a major challenge. "[R]egardless of company size, respondents cited hiring talent and acquiring new capabilities as the most critical enablers for Industry 4.0 adoption. As one executive explained, 'The needed capabilities don’t currently exist in our company, and we believe they’ll be hard to find.'" So, with that in mind and in no particular order of importance, here is a short list of the in-demand IT skills manufacturers will need as they begin their Industry 4.0 transitions. Cybersecurity – Cyber security will be a major concern for companies that, to date, probably haven’t had to think much about it much. As older machines are turned into data-generating network endpoints and linked together with new equipment and then tied into backend ERP systems and supply chains, a company's attack surface expands exponentially. All of this will require rigorous oversight and security designed-in from the outset. Existing control systems, never meant to be connected to the outside world, will also have to be hardened against outside attack (think Stuxnet or the New York dam hack). Knowledge of industrial IIoT standards will also factor heavily in the required knowledge base of these individuals. Once you put new sensors on an old machine it becomes a "cyber physical system", said Idan Udi Edry, former CEO at Nation-E and an expert in IIoT cybersecurity. That means cyber security specialists will have to expand their knowledge base dramatically to incorporate 40 years of machine-based protocols. "The main problem is having the old world connected to the new one," he said. "So you will see the generator is spinning at 5,000 RPMs and in the NOC [network operating center] it shows that it is running at 5K. But if it was hacked and it is running at 10K, you are screwed." This is why many companies pursing Industry 4.0 are taking a more holistic approach to security by opening security operations centers (SOCs) alongside their NOCs, he said. Data scientists – Data is the life blood of Industry 4.0 so people who work with it, who understand it, who know how to glean intelligence from it will be highly prized. The IoT deployments fueling Industry 4.0 will generate vast quantities of data. All of that data will need to be captured and analyzed so it can be used to improve machine performance, reduce resource consumption, assist in quality control, make supply chains more efficient and introduce new products and services. 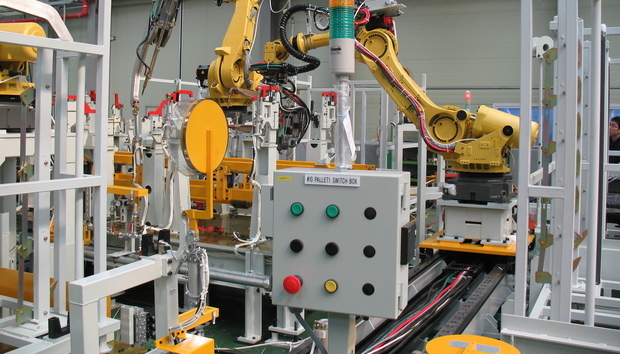 Then there is the continued improvement of production lines as more capable machines are added and networked. Networking – Connecting machines to each other and to the command and control systems that will oversee them will require the skills of a highly-skilled network engineer. They will have to be up to date on WANs, edge networking and fog computing as well as next-gen 5G networking technologies, WiFi, and the low-power LAN protocols that IoT devices often run on. They will need to appreciate the challenges imposed by connecting systems and machines that were never designed with networking in mind. The cloud factors prominently in Industry 4.0 ecosystems so moving data around efficiently with as little latency as possible will be a priority. Network function virtualization (NFV) and software defined networking (SDN) will also be valuable skills to know as will open source technologies, said Said Tabet, chief architect for IoT Solutions at EMC and an IIC steering committee member. Software engineers, application developers, and programmers – We're covering a lot of bases here because these jobs will be required in various forms from one end of the Industry 4.0 ecosystem to the other. Manufacturers will need folks to write and modify programs for machines as well as develop new interfaces for their human counterparts to interact with them. There will be a raft of data visualization and dashboarding jobs because many of these processes will require a "digital twin" so operators can oversee and interact with operations from a network operations center (NOC). Companies will also need folks who know how to code in the high-level languages like Java as well as older languages like C and C++. They will be further challenge by having to link legacy systems and machines to new proprietary platforms from different manufacturers as well as ERP systems and supply chain applications. To do this, they will also have to become familiar with 40-year-old serial communications protocols and architectures. DevOps and Agile will also be highly sought after skill sets. Also in high demand will be those who have an understanding of open source projects like Spark, Kafka, and Cassandra to Docker and Kubernetes. Architects – These are the big picture guys. IT architects will have a role to play helping systems engineers on the operational side meld the physical and logical worlds. People in this role will be required to understand the full dimensions of a company's existing business, its processes, and its digital transformation goals, and then figure out how to tie it all together using technology. "Someone who has to design the network across the machines and figure out how to tie it into the ERP system that deals with the supply chains," said OSU's Hill. "You need something like an IT architect who can understand how everything's stitches together. But they need to understand the manufacturing process so really you need the digital manufacturing architect, right." There will also be new positions created that require a strong engineering mindset coupled with someone who understands code and networking equally well. In Germany, this is called mechatronics, said Hill. In the US, the title is a lot less attractive: industrial maintenance technician. But the roles and responsibilities are the same: keep everything on the shop floor running and fix it when it breaks. "Your success with Industry 4.0 will depend on skills and knowledge," PwC's report states. "Your biggest constraints may well be your ability to recruit new employees or train existing ones who can put digitization into place. You need to introduce new roles in your company, like data scientists, user interface designers, or digital innovation managers. And you’ll probably need to update existing job profiles to take into account new digital skills." Allen Bernard is a veteran freelance business and technology writer, former managing editor and entrepreneurHe can be reached at 614-937-2316 or abernie182 @ gmail.com, or follow him on Twitter at @allen_bernard1, and on Linked In.